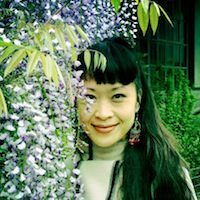 Tamara Ja is a Nationally and California licensed Acupuncturist, Herbalist and Traditional Chinese Medicine Practitioner. She is also a Reiki Master and certified massage therapist specializing in Tui Na medical massage. She received her Masters in Science from the American College of Traditional Chinese Medicine (ACTCM) in San Francisco. During her schooling, she interned with pulse master Bob Levine, L.Ac. in Berkeley and had a private Tui Na massage practice at ACTCM. She has worked at the Stroke and Rehabilitation Center at the California Pacific Medical Center, the ACTCM Ear Clinic and the Haight Ashbury Free Medical Clinic. Before her training in TCM, she worked for the University of California, San Francisco at the Tuberculosis Clinic in San Francisco General Hospital. She has a degree in Modern Literary Studies (with emphasis in Critical Theory, Philosophy, Semiotics, Psychoanalytic and Literary Theory) from the University of California, Santa Cruz where she graduated with Highest Honors in the major and College Honors. She studied Taoist Nutritional dietetics with Nam Singh Tao Shih, Master Chef and Taoist priest. She has also studied Taoism, Confucianism, Buddhism and the Chinese Mantic Arts with Liu Ming of Da Yuan Circle. Tamara is a practitioner of all eight limbs of Chinese Medicine: Acupuncture, Herbology, Moxabustion, Astrology, Meditation, Feng Shui, Exercise (tai chi/qi gong), Diet-Nutrition and Massage. Born in San Francisco and raised in Hawaii, Tamara has a love of cultural, linguistic and culinary diversity. She has trained in the martial arts forms of Wing Chun, both Chen and Yang style Tai Chi Chuan forms and various Qi Gong styles. She enjoys studying Taoism and Buddhism, film, literature in all its myriad forms, meditation, writing, art, music, divination and dance. When not working she enjoys traveling, spiritual retreat and culinary exploration, reading/rereading/re-rereading the I Ching, not watching television, whistling in the jungle, sparring blindfolded on stairways and searching for the perfect bowl of noodles. © 2018 Red Bamboo Medicine. All Rights Reserved.